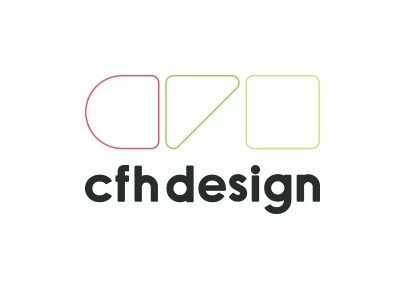 CFH Design is an integrated design, marketing and communications agency dedicated to helping its clients grow successful and profitable businesses. With an expert team of creatives and marketeers the breadth of expertise on offer at CFH is amongst the best in the creative sector. Strategic advice, effective sales and marketing plans and creative solutions that drive shareholder value and growth CFH delivers all of this and more and is ideally placed to help Lancashire businesses achieve their aims. With a dedication to offering the best possible advice, guidance and solutions at every stage of the process the CFH team strive to become an extension of your business and maximise your return on investment. It’s a formula which has attracted international brands and is one of the reasons for our continued success. After all we are only as successful as our clients and their success is our success. CFH Design take a refreshing approach to business growth by uncovering the key ‘brand’ values, ethos and culture of its clients and creating winning strategies and thought provoking creative which drive emotions and ensure the best possible outcome. Our goal is to maximise the value we generate from every pound our clients invest in growing their business. This becomes our mission that drives us forward each and every day. We’d be delighted to have a growth conversation with any client in whatever sector who have growth ambitions and who are looking for inspiration, guidance and creativity to help realise their dreams! Have a dream and a vision of where you wish to go and empower your thinking and that of your team so the goal becomes inevitable. Lancashire is ideally located on the major motorway network, has a huge resource of talent, a culture of hard work and ambition, world class educational establishments and organisations who are committed to helping Lancashire businesses succeed – perfect ingredients to grow a healthy, profitable business. Boost is a fantastic concept of delivering practical, useful and creative support to Lancashire businesses by harnessing the immense talent and expertise that exists within the county.